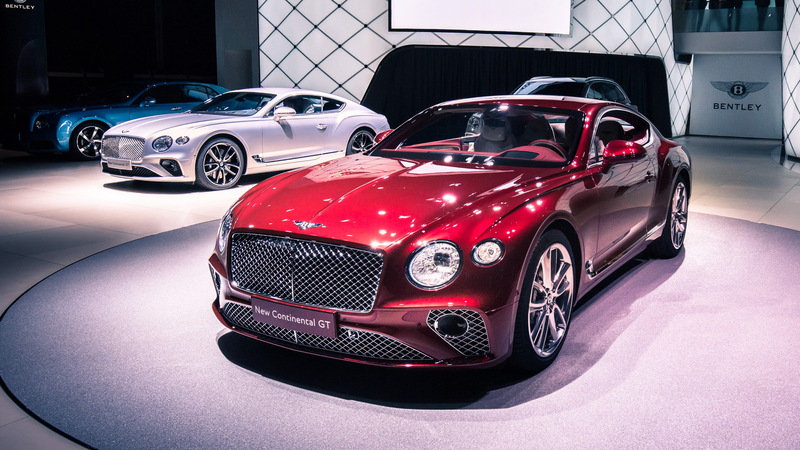 When it was announced this summer, the 2018 Bentley Continental GT firmly planted itself among the best-looking cars ever built by the automaker. When it arrives on our shores next year, the two-door grand touring coupe will sport an improved but recognizable shape for Bentley, but also some brain-bending details that only the luxury manufacturer could provide. Math says that it should be among the fastest, most customizable, and most efficient coupes ever made by the automaker. But a few other numbers piqued our interest, too. Here's a by-the-numbers rundown on some of the luxurious details in the new Bentley Continental GT. 712: The number of stitches in each individual quilt pattern embroidered in the seats. 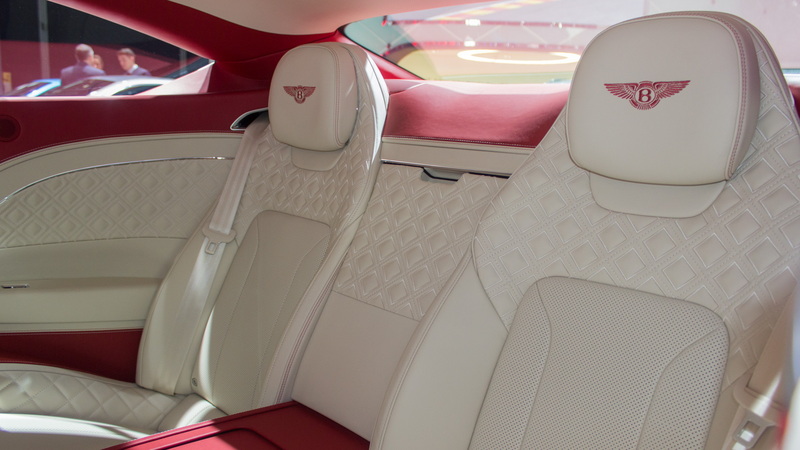 According to Darren Day, who is the lead interior designer for the 2018 Bentley Continental, the automaker’s traditional quilting pattern may have been uncomfortable with in-seat massagers. That’s why each quilt is embroidered, rather than heavily raised in relief. 0: The number of degrees each stitch in the quilt shares in common with the stitches around it. The diamond quilt is created by rotating each stitch roughly 0.5 degree around the circumference, to create the pattern. 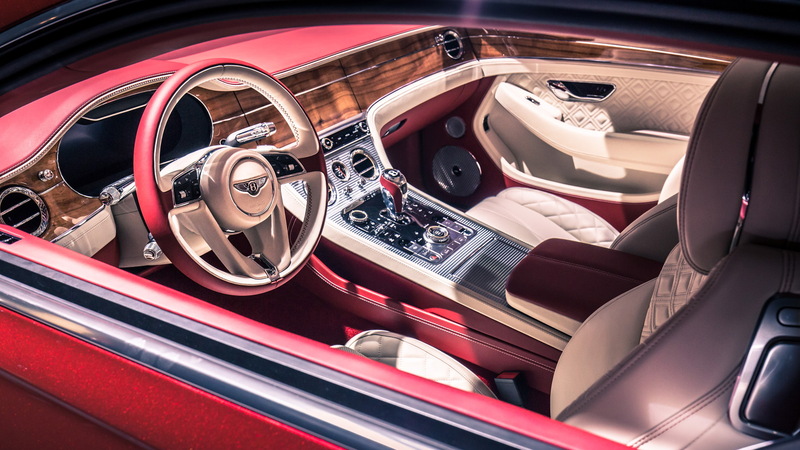 2.8: The number of kilometers, or 1.73 miles, of stitching in each Continental GT interior. 1: A number that comes up often in the Continental GT’s interior, but in this case, it’s the number of seams in the headliner—just one. It’s about a quarter of an inch long, right near the map light assembly. The rest of the headliner is a single span of leather, made from a generous cow to help create a calmer interior environment. 3: Number of center unique faces in a rotating display on the center of the dash. 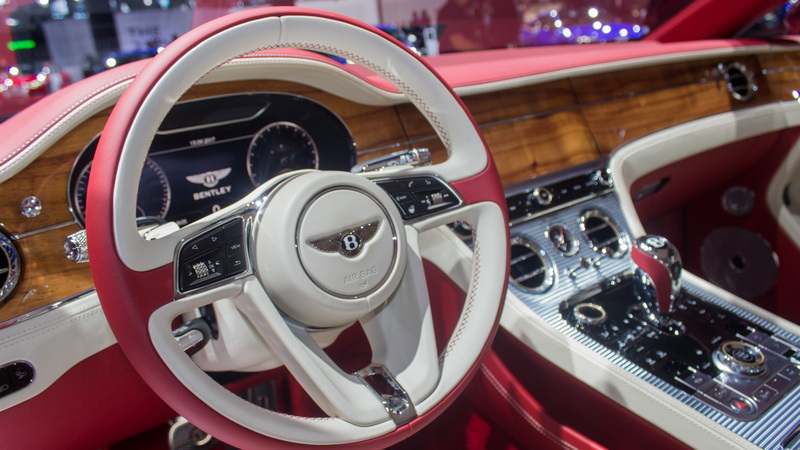 When off, the Bentley Continental GT sports a nearly unbroken veneer from the dash. Turn the car on and it defaults to a 12.3-inch, retina-quality touchscreen. Pressing the Screen button in the center console rotates the touchscreen to a beautifully finished dial display with three knurled faces that show outside temperature, compass heading, and a lap timer. 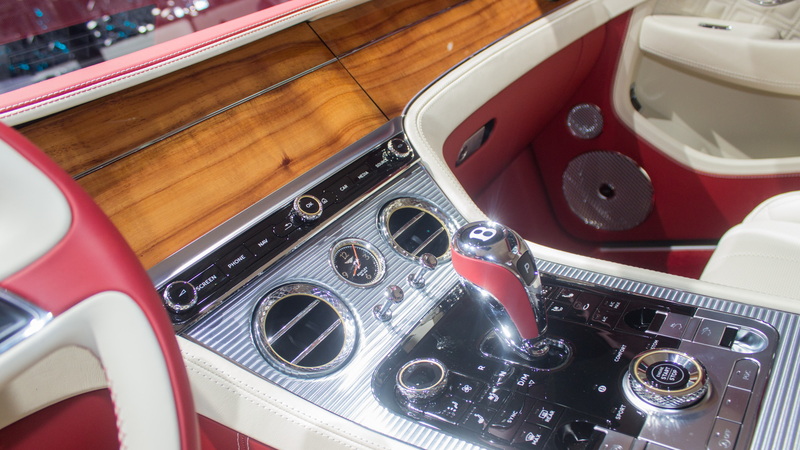 4: The number of wood veneers available for a split-veneer interior, the first time Bentley has offered the finish. Each veneer pairs with piano black, and was selected specifically for its complementary colors to black. 0: The number of buttons and switches the Continental GT shares with other cars in parent-company Volkswagen Automobile Group’s cars. “Actually, you’ll find that nothing looks familiar in this car. These have all been created from scratch. We spent 18 months designing a new knurl for this car," Day said. 0.3: The length in millimeters of each flat diamond knurl on the sides of the dials, chosen to create a different tactile feeling from the last-generation Continental. 10: Bronze rings inset into the dials. This is an homage to WO Bentley, who used bronze bearings in his first cars. 20: Degrees Celsius that engineers set as default for the exterior temperature sensor dial in the optional dial display. That’s the temperature the automaker says most owners set for the interior of their cars. A needle left or right of 20 degrees notifies drivers if it’s colder or hotter outside, respectively. 1 (again): Pieces of leather used to make the dash. A single, unstitched leather hide wraps the dash to keep reflections on the windshield to a minimum. No vents, no speakers, and no airbag seams. 310,000: Stitches in the whole interior of the Continental.